The photo was taken in the BBC Club bar in Dec 1998, when the staff Live Production Assistants left Pebble Mill. 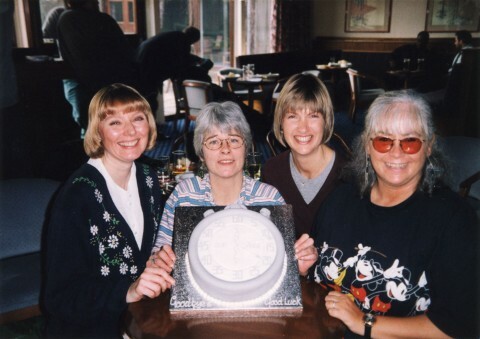 They include, left to right: Sue Williams, Jane Mclean, Anne Varley, Sylvia Lloyd. The stop-watch cake was a very good idea!